From 1900 to 1905, William K. Vanderbilt , Jr was a pioneering race car driver, competing succesfully in the United States and Europe. Willie's K's racing career and his racing cars will be documented in a new VanderbiltCupRaces.com series "Willie K.'s Cars". For the first installment, this excellent article "Hunting for Records- William K. Vanderbilt Jr."posted on the Daimler global media website is featured, supplemented with images from my collection. William Kissam Vanderbilt Jr. – known as Willie K. among his friends – was born in 1878 as one of three children of extremely well-to-do parents. His grandfather had laid the foundations for the wealth of one of the richest families in America with his railway and shipping businesses; his father had successfully increased the family's fortune. Initially, William ran several of his family's businesses together with his brother Cornelius before he retired from management in 1903. He was a philanthropist with a wide range of social and sporting interests. Willie K.’s childhood was unspectacular. He was intrigued by technical matters and had access to the cars of his parents’ friends and acquaintances from an early stage onwards. The excursions on which he was taken must have left a great impression on him, as his great enthusiasm for cars proved in later years. In 1888 he spent time in France to get to know the Old World. Albert Jules Count de Dion, a friend of the family, automotive pioneer and manufacturer, invited Willie K., who was nine years old at the time, to a trip in his steam-powered three-wheeler. Together they traveled from Beaulieu to Monte Carlo. Vanderbilt remembered that "he steered with one hand and controlled the steam pressure with the other. More than anything else, I was impressed ... by the enormous speed at which we were traveling. Count de Dion was a very courageous man." But it was to take a while before Vanderbilt owned his own car. In July 1899, Vanderbilt bought his first car – one with electric drive, as was not uncommon at the time – three months after his wedding with Virginia Graham Fair, daughter of a former Californian senator. He was not satisfied with the car's performance, however, and soon exchanged it for a steam-powered Stanley. "The boiler was thirstier than a stranded sailor," he wrote at a later stage. "We had to top up water continually. What was worse, the vapor occasionally escaped in uncontrolled fashion and prompted curious onlookers to seek cover until the commotion had settled again." Vanderbilt decided in favor of a gasoline-engined car, initially for a British three-wheeler which he sold again immediately, however, because he simply found it to be too slow. 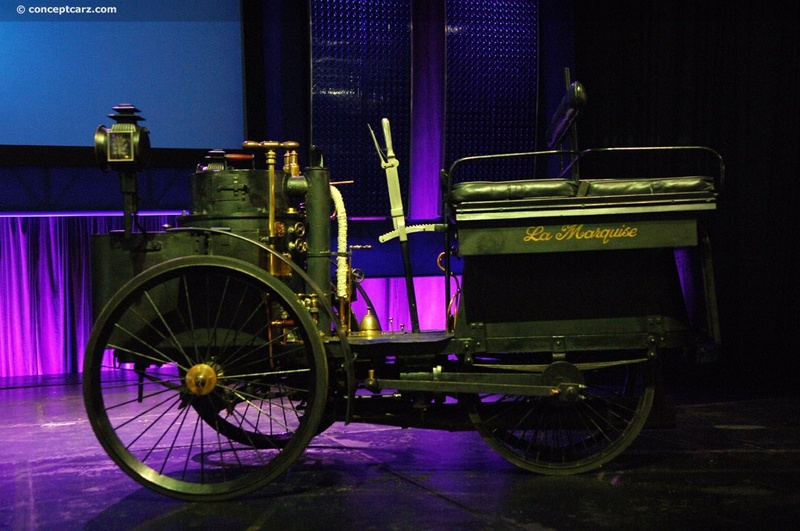 In 1899 he bought a French 6 hp Mors at a price of 5,000 dollars. This car already had a top speed of 32 km/h. Immediately after taking delivery of the car while being in Europe at the time, he covered the distance from Paris to Nice – more than 900 kilometers – in less than 40 hours. 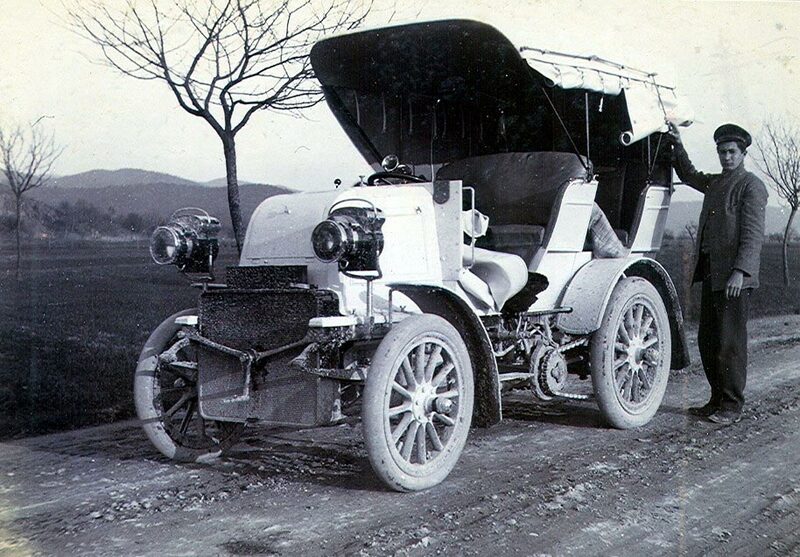 In June 1900, Vanderbilt bought a Daimler Phoenix, his first Daimler and his first racing car for which he had to pay the impressive price of 10,000 dollars. 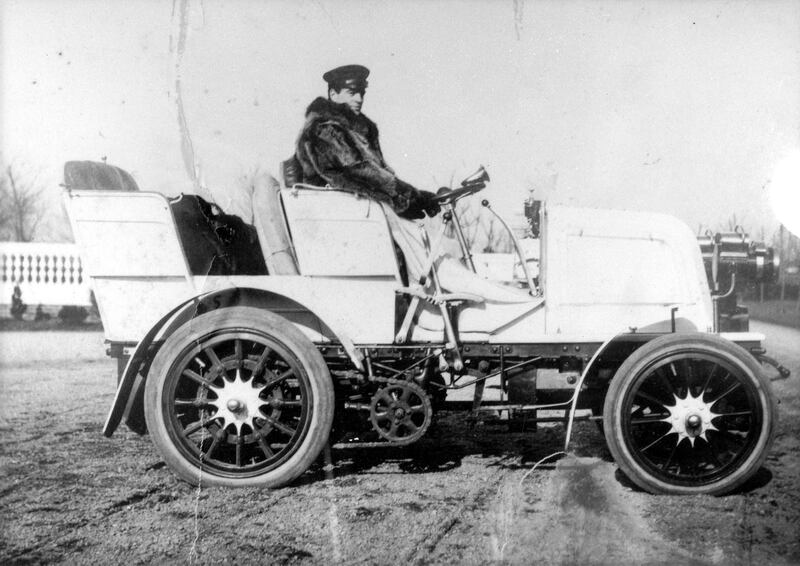 This car – nicknamed "White Ghost" and powered by a 23 hp engine which accelerated the car to a top speed of just under 100 km/h – was at last completely to Vanderbilt's liking. In this car, he cut the speed record between Newport and Boston to about half the previously recorded speed and remained only slightly above the railways' driving time – because he was arrested for speeding and not released until an hour later and only after putting up 25 dollars bail. "Otherwise I would have been faster than the railways!" he explained. The penalty of 15 dollars didn't really hurt. Slowly but gradually, more Americans took a liking to sporty cars. But who was the fastest? Several, purely privately organized races were staged, with Vanderbilt being a frequent competitor. 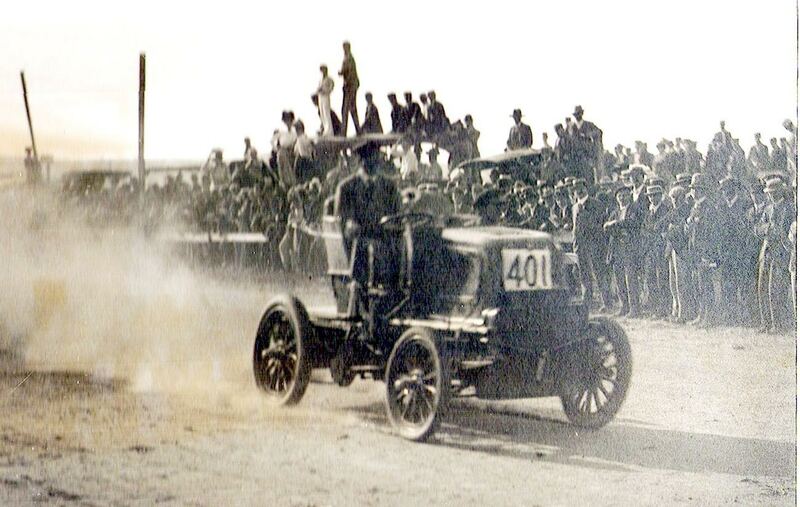 On September 6, 1900, Vanderbilt and his society sporting friends gathered at a half-mile Aquidneck Park horse track near Newport, Rhode Island, for a series of automobile races. Willie K. was the star of the meet with the White Ghost, winning three of the featured five mile races, averaging 33.7 mph. Dear Howard: Okay, okay I can take a hint. I want to subscribe to your blog. Don’t know where you’ve found the stuff but it’s thrilling. It’s the stuff of dreams for early racing car nuts! Interesting that Willy K. and de Dion traveled from Beaulieu to Monte Carlo. Is this the same Beaulieu in England that has the annual auto jumble (car parts swap meet)? I was there in 2003 and purchased a pair of “pigs ears” turn signal lights for my 1955 Dellow Mk. V which has just come out of restoration.